Service Providers, Coaches & Consultants have frequent touch points with our Clients & Customers. The emails we craft to deliver access to products or simply to stay in touch – are golden real estate for expressing your appreciation. 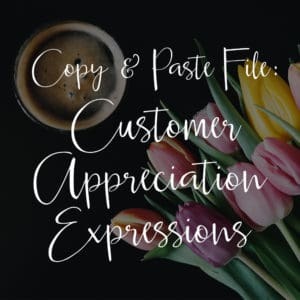 What if you (or your VA) went through your autoresponders and product delivery emails – to add sentiments of appreciation and recognition for how incredible they are? 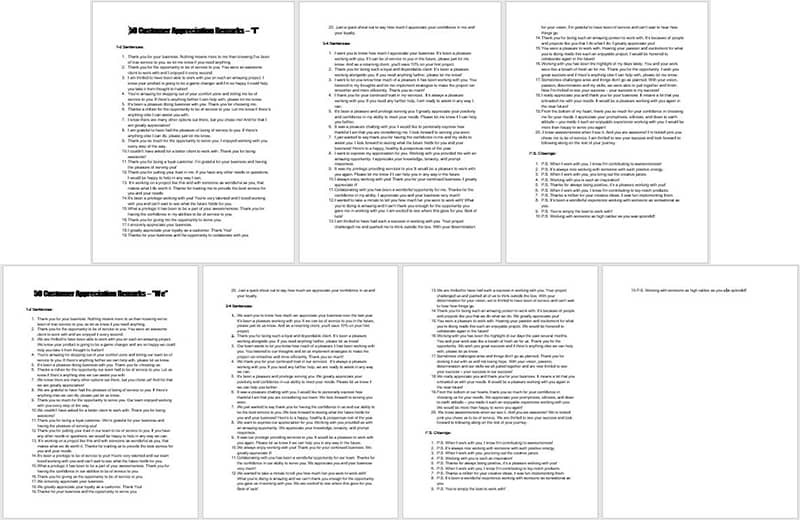 We’ve made it super easy with this copy and past bounty of positively glowing remarks!! Two versions: One spoken as ‘I’ and another spoken as ‘We’. 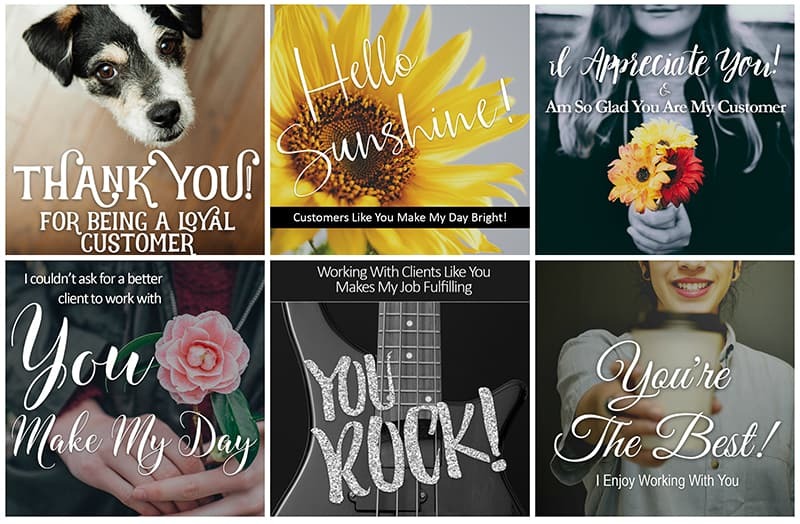 We’ve crafted Six Fun Graphics you can brand and use to shout out your appreciation with too!